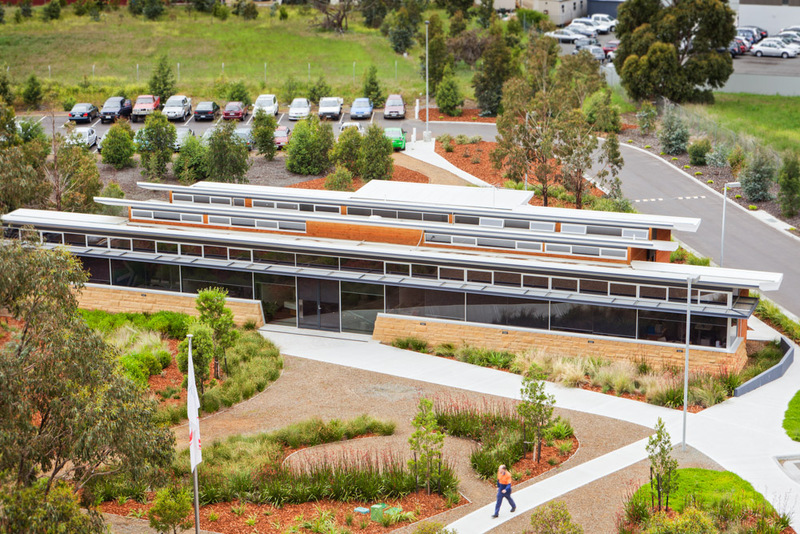 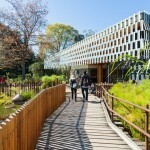 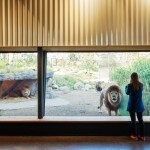 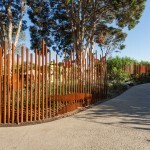 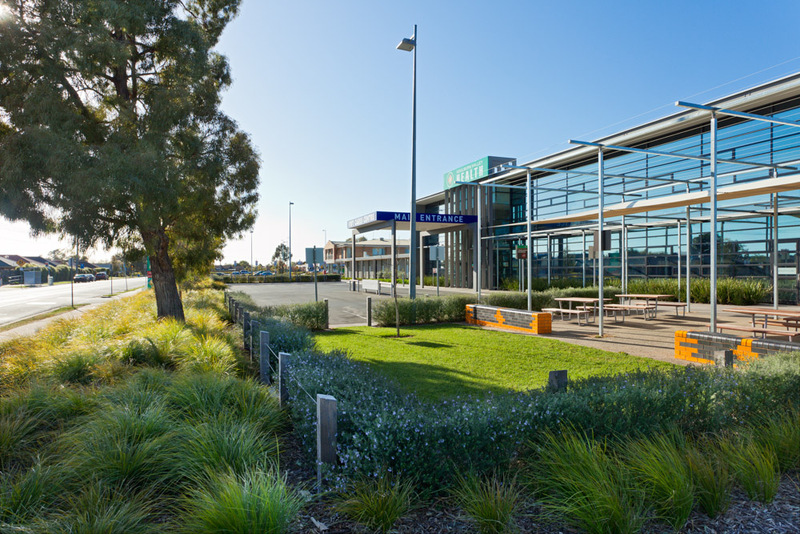 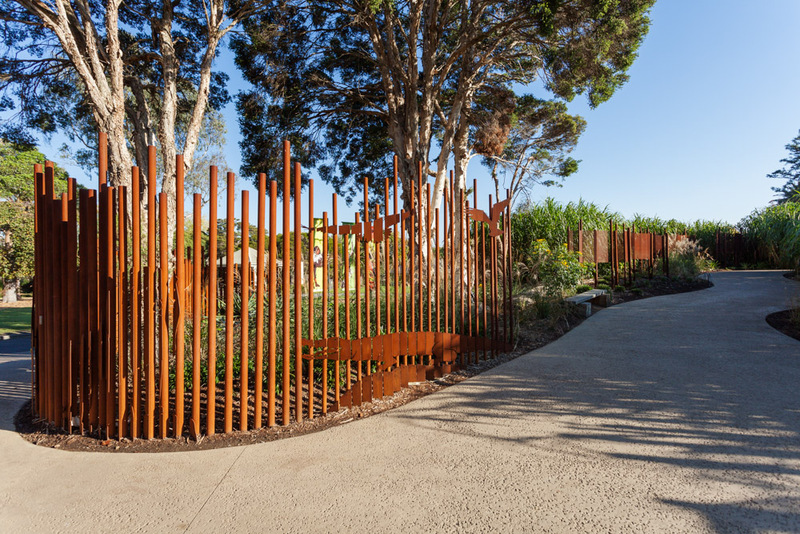 The $5.2M Predators Precinct- Lion Gorge forms a key component of Melbourne’s Zoo Long Range Plan, which aims to significantly increase visitation and enhance the onsite experience by continuing to connect visitors with animals. 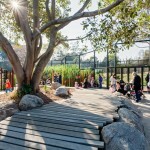 Designed by ARK- a collaboration between Urban Initiatives, Ola Studio and Arterial Design, Stage 1 of the Predators Precinct includes Lions, African Wild Dogs and the critically endangered Philippine Crocodiles. 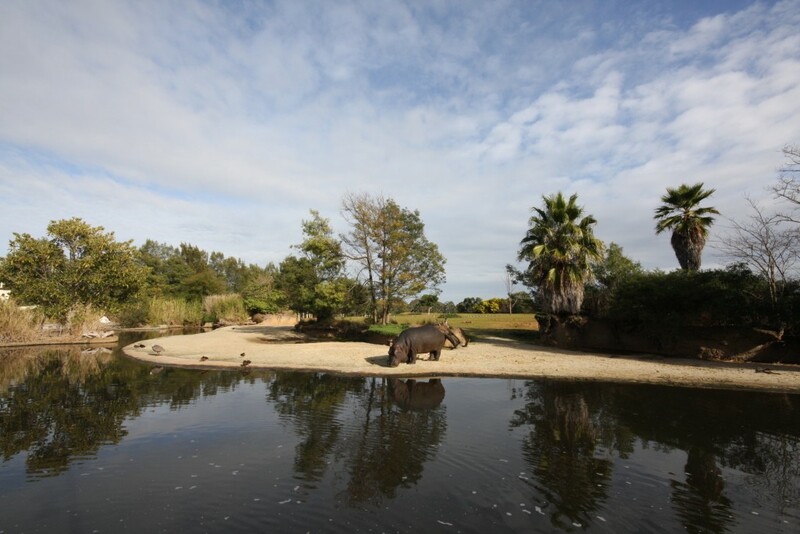 The interpretive journey is based on the ‘join the pack, join the fight’ conservation message to inspire visitors to engage in actions that are easily achievable but also beneficial to conservation programs working in the wild with these animals. 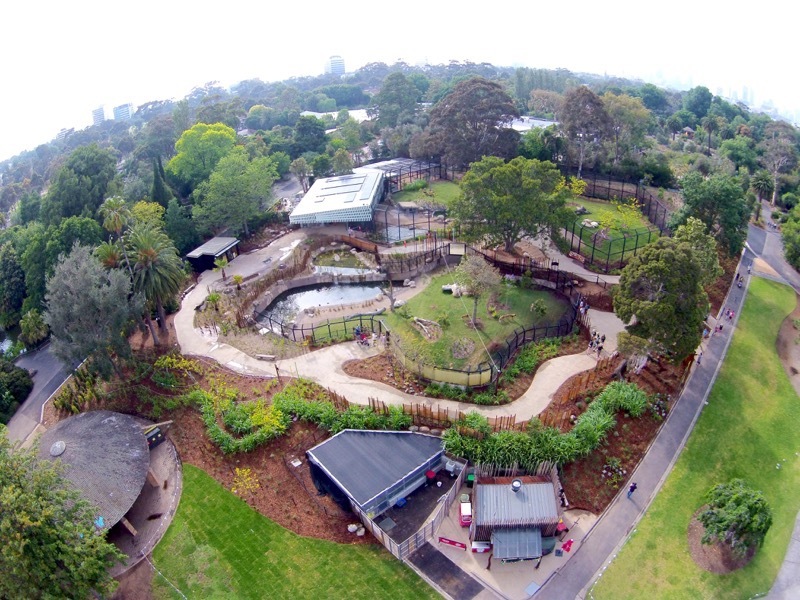 Set on a 5000m2 site in the north east section of the zoo, the project centres around the ‘Refuge Tree’ Education Centre and ‘ waterhole’ as the location where all predators come together. 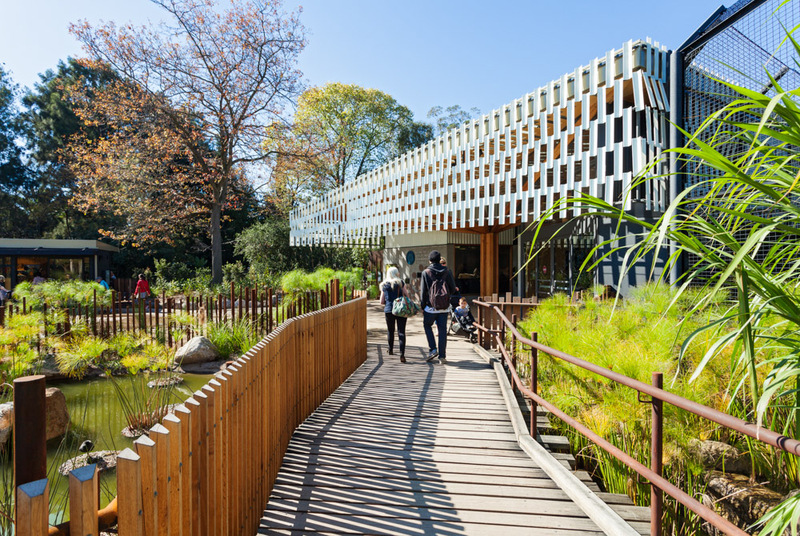 The design include a multiple close up viewing opportunities, nature and water play areas, a filtration moat system, presentation area and retail facility. 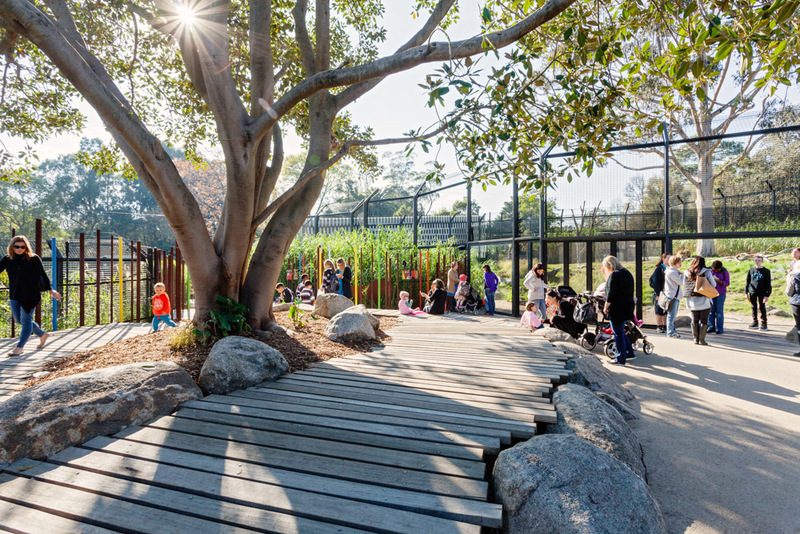 With this highly successful project, our team has created a truly engaging and immersive experience which increases visitor’s understanding of the interrelationship of habitat, predators and cohabitation challenges with communities. 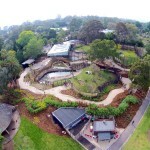 The exhibit also provides significant animal welfare and enrichment opportunities and high quality visitor facilities to create an enduring and memorable experience imbued with conservation messages. 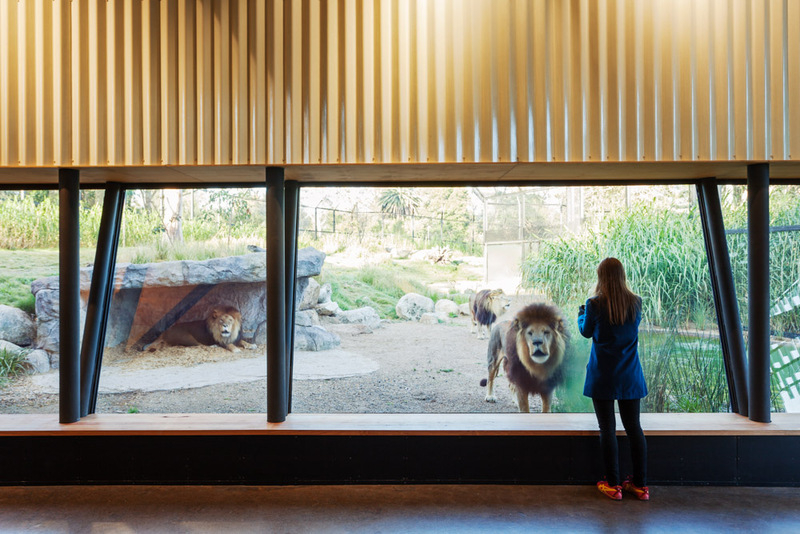 Our design for Lion Gorge has established a benchmark visitor experience that is integrated, seamless and offers heightened intensity, excitement and intrigue.